Need a little sparkle to your garter? No worries! We have you covered! 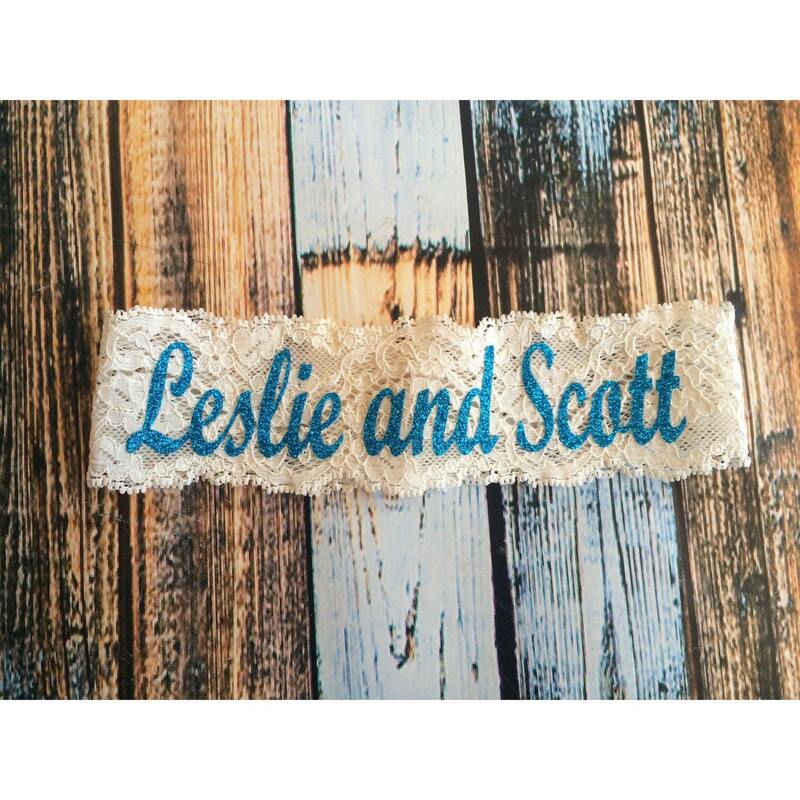 This fun single garter is shown in our blue bling with your name and spouse to be's name. Please let us know names in the note section at checkout. 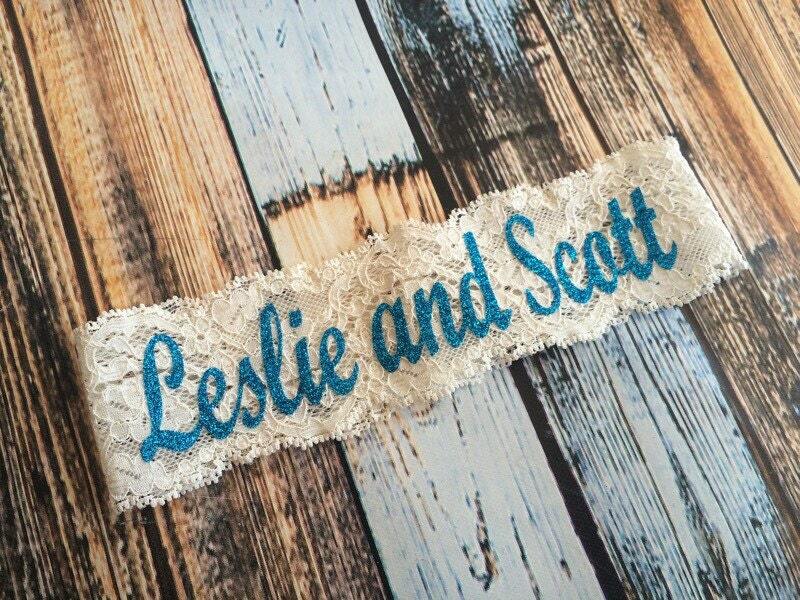 Currently the only Bling color available is the turquoise blue as seen in the photos. Please note monitors may vary in color. This item is NOT Embroidered. We use HIGH quality material for the bling aesthetic that is used on garments. Please make sure before ordering you understand that this is a BLING garter in which embroidery thread is unable to replicate.